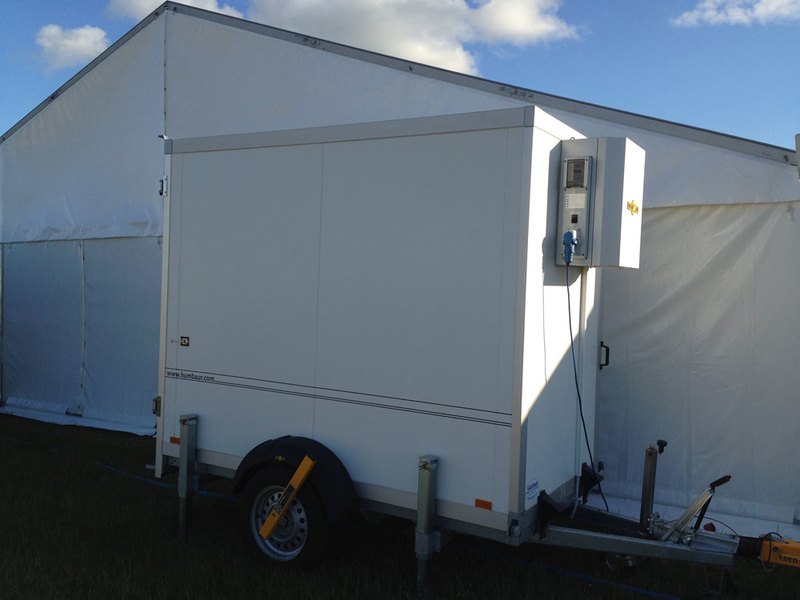 All our high quality German built Cool Trailer fridge units are free standing, full height and walk-in units that can be located either within or outside a marquee, event location, commercial or retail premises and are suitable for a wide range of food refrigeration and drink chiller uses. The Maxi Cool fridge trailer unit is ideal for event caterers, larger weddings, restaurants and can be used for storing both food and drink together, double side removable racking is included as standard leaving a central walkthrough or additional store area. 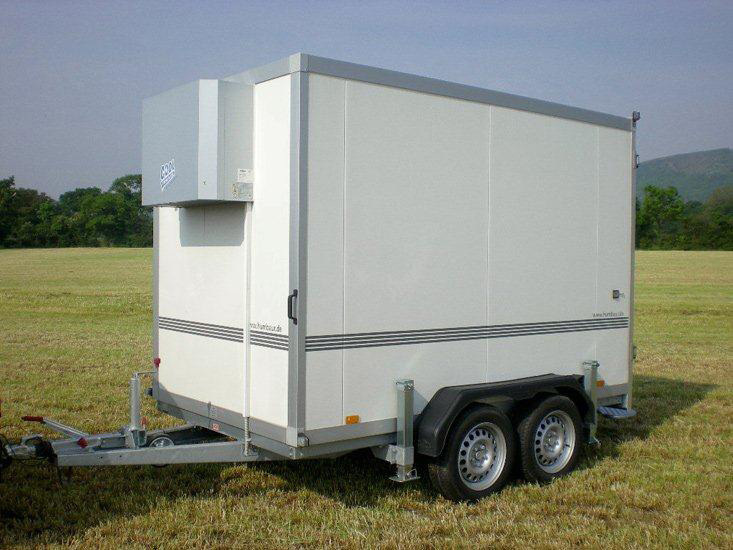 The Mini Cool fridge trailer unit is ideal for smaller food quantity storage and/or chilling wine and beer in boxes or free standing bottles, with optional single side removable racking included at no extra charge. We offer preferential rates for regular hirers, multiple hires of 2 or more units and long term periods, please contact us for a competitive quote. * All prices are exclusive of vat. Subject to our Terms and Conditions of Business - available on request. Just wanted to drop you a quick note to thank you for your amazing service over the festive period. As you know, I only got in contact 2 days before I needed a refrigerated trailer and this was no problem for you. Booking process: very simple, and also very trusting... it was nice to see that you were willing to sort everything out without being desperate to take my money as confirmation! Delivery of Unit: fantastic - it was delivered on time, positioned exactly where I needed it and I was talked through the operating instructions. Collection: I wasn’t there for the collection, but it appears to have been collected as agreed. The Unit: Amazing! I am always sceptical of hiring, especially online, and was imagining having to spend hours cleaning the unit when it arrived! 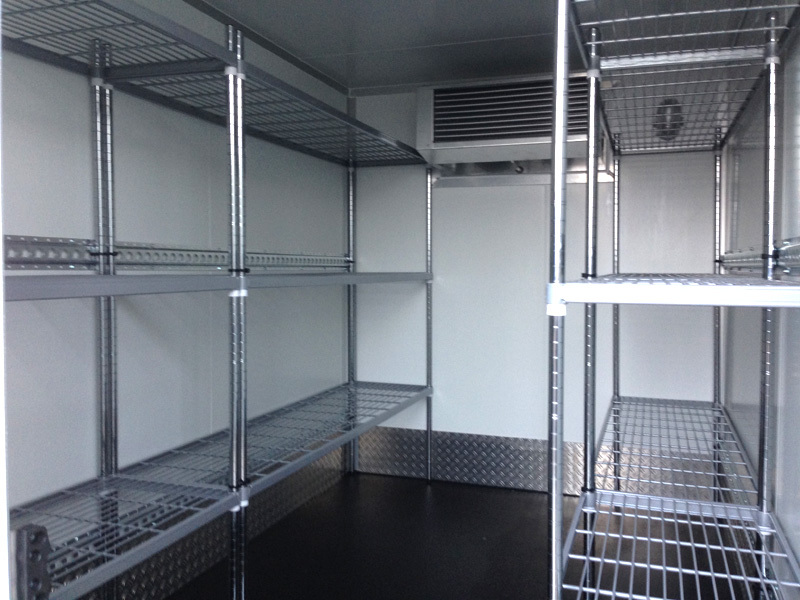 I most very surprised and relieved when the unit turned up and it was brand new and absolutely spotless inside!